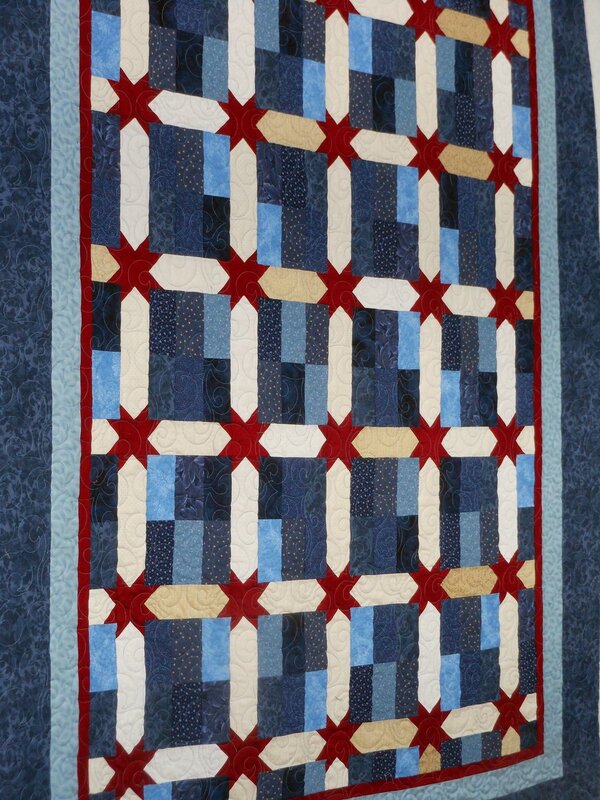 Pieced by Shannon K., coached by her mom, Cyndy. When her boss was diagnosed with breast cancer, my daughter came home and immediately went to my stash to pick out fabrics for a quilt to comfort her as she goes through chemotherapy. 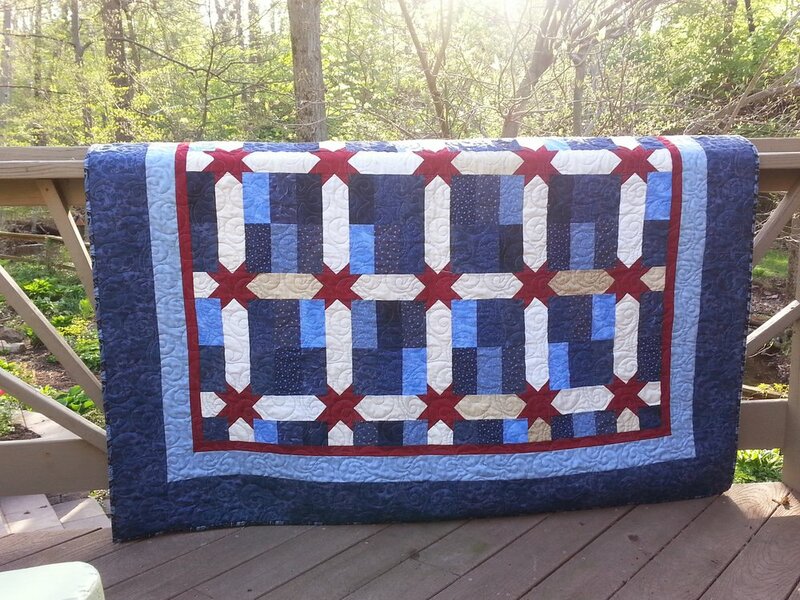 This was Shannon’s first quilt, and she needed to master the ¼-inch seam. She chose this design, which was familiar to her as I had made this same pattern several years ago for my friend who had cancer. Shannon’s original idea was to have the women on her team and other coworkers sign the sashing strips. 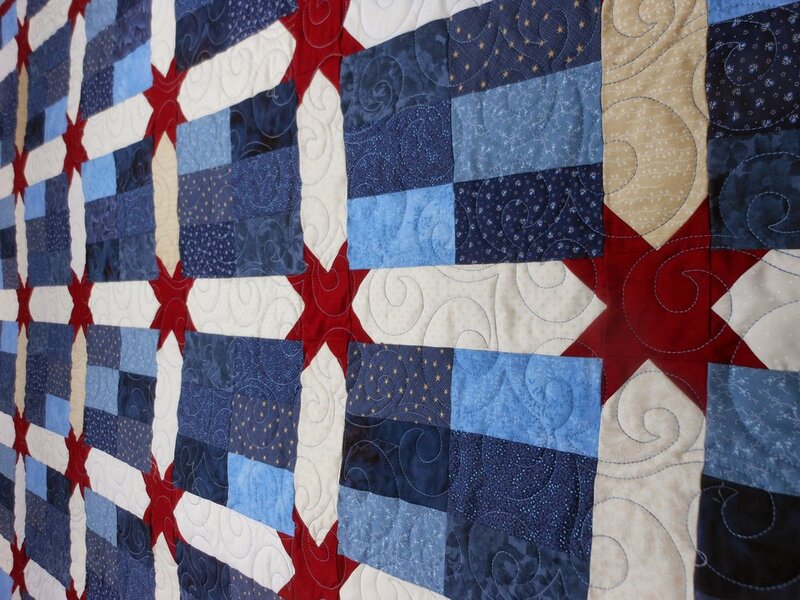 However, after the top was pieced she was concerned that the signatures might detract from it. 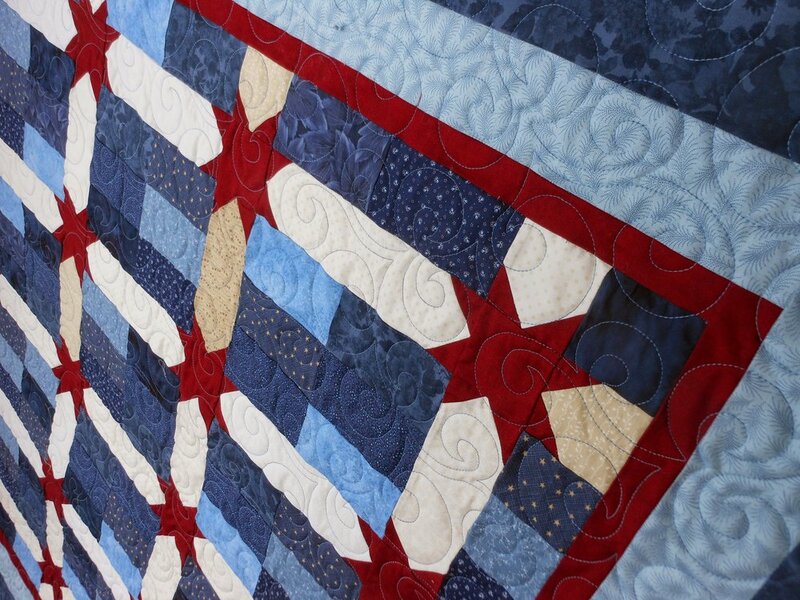 Instead, she asked coworkers to sign a 17-inch square, which is pieced into the backing. We collaborated with Jackie to choose the right thread for the top and bottom that would complement the colors of the top, yet allow the signatures to shine through on the back. We were thrilled with the end result.